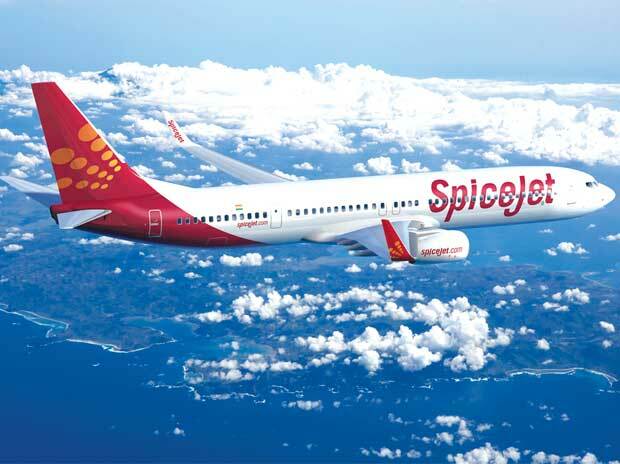 SpiceJet soared 14 per cent to Rs 104.70, zooming 33 per cent from Rs 78.75 on Tuesday, March 19, on the BSE. IndiGo was up 2 per cent at Rs 1,409, gaining 10 per cent in past two trading days. Low-fare airline IndiGo’s domestic market share in the month of February increased to 43.4 per cent, from 42.5 per cent in January while budget carrier SpiceJet's market share rose to 13.7 per cent from 13.3 per cent in the previous month. The Naresh Goyal-controlled Jet Airways (India) has seen its market share decline to 10 per cent from 11.9 per cent, data from Directorate General of Civil Aviation (DGCA) showed. Domestic air passenger traffic rose 5.6 per cent in February, with the country's airlines carrying 11.35 million passengers in Februar, according to regulatory data. The stock of Jet Airways (India) was up 3 per cent to Rs 225 on the BSE in intra-day trade today, after falling 8 per cent in the past two trading days. Last month, Jet Airways had approved a Bank-led Provisional Resolution Plan (BLPRP), as received from the State Bank of India (SBI) proposing restructuring. The BLPRP contemplates various options on the debt-equity mix and the proportion of equity infusion and the stakeholders are closely engaged to arrive at mutually acceptable solution, Jet Airways said in regulatory filing. The company also made a clarification on news report that "Etihad may exit Jet Airways by selling 24 per cent stake to SBI".